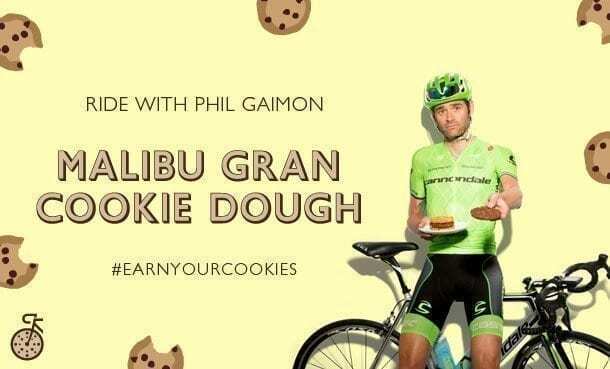 Watching the Tour of California earlier this year, you might have wondered about fans dressed as cookies chasing riders up Gibraltar Road on Stage 3, but if you follow Phil Gaimon, you probably guessed that he was behind it. Well-known for his love of cookies, Phil is putting on a cookie-themed Gran Fondo this Fall, and his friends were on site to spread the word and the treats. 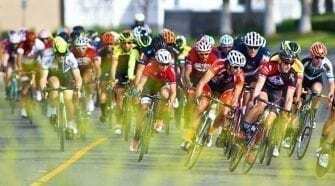 Phil Gaimon: Every time I tell someone that I live in Los Angeles, they ask how the hell I can train in a town known only for traffic and movie stars. The truth is that I’ve ridden all over the world, and I can’t say L.A. is the very best, but it’s part of a 20-way tie for a climber like me. Just north of the city, you’ve got the Pacific Coast Highway with the ocean on one side and a ridge of mountains on the other. There are tons of tiny roads up and down that ridge, with Mulholland on top — that twisty, beautiful road where they film every car commercial. You can climb around that ridge for days and never hit the same road twice. SoCal doesn’t have a proper post-season gran fondo, so I thought that the Malibu Gran Cookie Dough would be a fun way to show off my home roads and help L.A. get the reputation it deserves as a cycling destination. PG: Cookies are my thing. I think I mentioned in a blog a long time ago that I like them, and it snowballed. Now people bake cookies and bring them to me at races, Castelli made a cookie-themed jersey, and I’m just embracing it because it’s the best thing I have going, and my teammates are all jealous. There’s a restaurant in Santa Monica called M Street Kitchen, which is known for cookies. When I found out their “celebrity chef” rides bikes, we got to be friends. Jeff Mahin had just returned from the White House when I met him, so basically Obama tested the cookies for me. 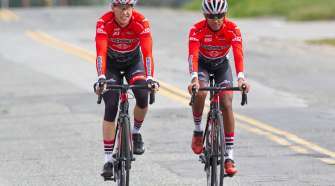 Jeff loved the idea of the Gran Fondo, so now we get to offer a great bike ride, a celebrity chef providing cookies at the top of the climbs and a real gourmet lunch after, for the full LA experience. Since it’s offseason, we’re also working with 10 Speed Coffee and Pedalers Fork, who will provide a classy, Euro-style, coffee stop. 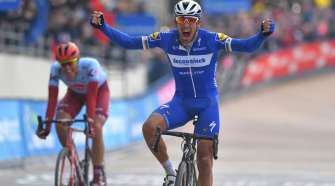 Take a seat, have an espresso, and then get back to suffering. Team Cannondale is also offering their full support, so as well as the local pros like Jesse Anthony and Katie Donovan, as well as friends I’ve guilted into coming out, like Frankie Andreu and Lauren Hall, they’re sending Olympians Mike Woods and Toms Skujins, who will hopefully be too full of cookies to drop me. Cannondale will be raffling TWO bikes to support City of Hope: a SuperSix Evo, and a Slate in honor of the dirt climb on the route. PG: Easiest way would be to visit our website, philsfondo.com or visit your local Cannondale Dealer.